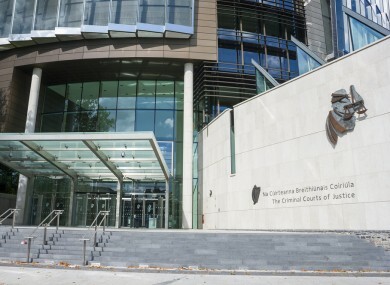 A MOTHER OF three who tried to abduct a young girl from a South Dublin crèche believing it to be her own daughter has been given an 18-month suspended sentence. Rebecca Cunningham (34) was in a drug induced psychosis and searching for her own child when she appeared at the back garden of the child care facility. She then took a girl who she thought was her own three-year-old daughter. The child took Cunningham’s hand and was walking out of the facility with her when the manager spotted what was happening and followed her. Garda Shane Doyle agreed with Seamus Clarke BL, prosecuting, that the manager was “calm but quite purposeful” because she didn’t want to upset Cunningham. Dublin Circuit Criminal Court heard that while the child was confused, she was not distressed. Cunningham didn’t let go of the girl’s hand when the manager asked that she return her to the yard but she was not violent and didn’t try to get a tighter hold of the child. A brief struggle took place while the manager tried to take the child away from Cunningham and although she refused to let the girl’s hand go, she was neither aggressive nor did she attempt to grab onto the child. She told the manager to stop pulling the girl but the manager said twice that she wanted the child to go back into the yard and assured Cunningham that she wasn’t pulling her. She then handed the girl over to other staff, instructed them to contact gardaí and she sat Cunningham down and made her a cup of tea. Cunningham was very confused in her conversation with the manager and later with gardaí. She couldn’t remember the names of all of her children and didn’t know where she lived. Gda Doyle said the child’s mother later made a statement saying she had simply been informed that an incident had occurred in the crèche by the staff. He told Mr Clarke that Cunningham was quite confused but was co-operative. He agreed that it was very clear that she believed the girl was her own daughter. The offence is contrary to section 17 of the Non-fatal Offences against the Persons Act, 1997. Cunningham of Rory O’Connor Park, Dun Laoghaire, pleaded guilty to abduction on 22 September 2015. Gda Doyle confirmed that Cunningham suffers from a mental illness and has no previous convictions. He agreed that she was granted bail last week and has abided by all terms of her bail conditions. Niall Nolan BL, defending Cunningham, told a bail hearing last week that his client has a diagnosis of Schizophrenia and her mental capacity is also affected by her difficulties with poly-substance abuse. Gda Doyle agreed with counsel that Cunningham was under “a drug induced psychosis” and “it was a last ditch attempt to search for her child”. Mr Nolan said Cunningham had been extremely unwell but is now fit to plead as she is attending her psychiatrist and is compliant with her medication. “She dropped to the lowest. Her mental health incapacitated her and led to this deeply sad and traumatic search for her daughter,” Mr Nolan said. Judge Martin Nolan said Cunningham was in “a very distressed and confused state looking for her own child” and she found this girl who she thought was her daughter. He complimented the crèche manager in behaving in “a responsible and sensible way” and noted that Cunningham was “appeased without much difficulty”. Judge Nolan said there had been “a slight struggle” over the girl but said it was neither aggressive nor hostile. He said the role of the court was to protect society and he didn’t perceive that Cunningham was a risk as she is now taking responsibility for her mental health and is availing of the services of competent professionals. Judge Nolan suspended the 18-month sentence on strict conditions including that Cunningham stay away from a number of named crèche and child-care facilities and areas where children are known to congregate such as schools. He said she must engage with the Probation Service for the term of her suspended sentence. Email “Woman guilty of child abduction escapes jail but told to stay away from childcare facilities and schools”. Feedback on “Woman guilty of child abduction escapes jail but told to stay away from childcare facilities and schools”.